Rather than just acquiring as many properties as possible, let’s take a step back and think about whether the best way to make more money is to focus on your current portfolio. The best way to minimize vacancies is to find a long-term tenant so that you don’t have to deal with turnover. This is covered separately by my next point because it is not the only way to keep your property occupied. In the event that your tenant must move, vacancy can also be minimized by keeping turnaround time to a minimum. A friend of mine owns a condo in the D.C. area that is rented to 3 individual roommates. Although multiple tenants have moved on, he has kept occupancy at essentially 100% by posting ads the minute he learns of the move. Demand in the area is so high that he will have immediate interest and line up a new tenant to move in on the coattails of the old one. You might think, “how does that apply to my property in an area with lower demand?” The thing is, nearly every property in every neighborhood has solid demand at a price. If your vacancies are consistently high, you may be doing it to yourself and need to think about your price point. Every month of vacancy costs you 8.3% of your potential yearly revenue, so you would be better off renting every property one month faster for 5% less rent, two months faster for 10% less rent, and so on. Another way to think about vacancy is this. If a property does not have some characteristic that sets it apart from the rest and sells itself such as a prime location or a to-die-for kitchen, you can give it one by providing the best value in town. Turnover costs money in multiple ways. There are advertising costs, the cost of patching and painting walls and replacing flooring that your previous tenant would have lived with, and, of course, vacancy. It’s a little counterintuitive, but this is another area where relatively lower rent may have the tendency to increase revenue. One of your goals should be to find quality tenants that take care of your property and pay consistently. When you find these people, do what you can to keep them! Some people will inevitably leave because they are moving across the country or buying a home, but the last thing that you want is to lose your best tenants to the landlord down the street, dealing with the expense of acquiring a new tenant and lost revenue in the vacancy. The price of rent is not the only factor involved in tenant retention. The other key is customer service. Whether you personally manage your properties or have a property manager, make sure your tenants are treated with respect and professionalism, their concerns are valued, and matters are dealt with urgently and to their satisfaction. A good tenant/landlord relationship keeps tenants from thinking about moving. To assess whether your property manager is performing in a way that fosters good tenant/landlord relationships, send a postcard soliciting feedback from your tenants, letting them know their opinion is valued and they can contact you directly if they are dissatisfied with their manager. 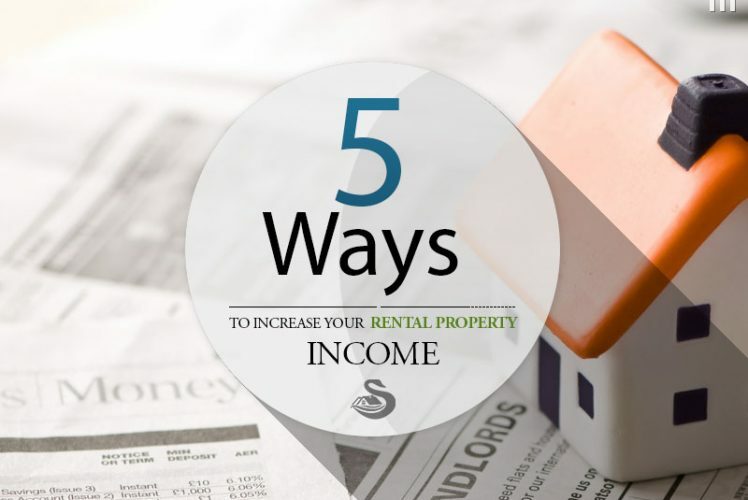 Now, after telling you that lower rents can lead to higher revenue, I will proceed to advise increasing your rents on your longer-term tenants. This is really not a contradiction at all. Rather, it is a delicate balance that requires knowledge of your property’s value relative to your competition. As I mentioned, tenants may be more loyal if they can’t find lower rent elsewhere. But this doesn’t mean that you should never raise rents when you have good reason to do so. Moving costs tenants money too. If the value of their current rental is significantly better than the value of a new rental plus the cost of moving, you still have the upper hand. Make sure you know the rents in the area, researching sites such as Zillow, Swan, Craigslist, and the MLS if you have access. You may find there is plenty of room to increase your revenue a small amount each year (1%-3%) while remaining competitive. Two tactics I use to increase rents: Communicate an offset to new costs such as increased HOA fees, which cover utilities and amenities that they enjoy, and have them coincide with an upgrade to the rental. For instance, I may plan to paint the exterior of the home or upgrade old windows from single to dual pane anyway, but I will schedule the work to coincide with a lease renewal and the tenant feels they are getting something out of the deal. I may even ask them if there is anything that would make them more comfortable and select items from this list that will justify rent increases while increasing the market value of the home. In other words, make improvements that are necessary for maintenance or have immediate return on investment. Showing kindness and respect to your tenants does not mean being a pushover when it comes to rent collection and late fees. Collections are not the most enjoyable part of being a landlord, but are essential to running a profitable business. Make sure your tenants understand that this is a business, they have signed a contract, and it is your job to complete this transaction, following the contract and all applicable laws (including eviction proceedings if necessary). If you allow tenants to get away with paying late without the appropriate fees, you are leaving money on the table. 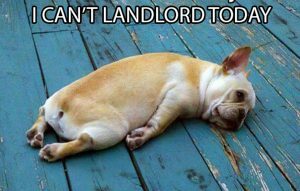 And, your tenants may try to get away with late payments several more times, causing you extra work and stress. If your tenant sends you a late check without including the late fees, politely explain that rent is not considered paid until all fees are collected, and that unfortunately you cannot accept this payment until all fees are paid. If you hold firm, they will quickly learn that you cannot be taken advantage of and will most likely comply. In multi-family properties, look for the opportunity to add services like coin-operated laundry and vending machines, which will not only provide revenue but will add resale value by raising the property’s return on asset value, or capitalization rate. In single-family homes, offer extra house cleaning and landscaping services to tenants when they sign the lease. They may be happy to pay extra to avoid responsibilities they’d otherwise take on. You can negotiate the rates of independent landscaping and cleaning services, contract them out, and collect a fee as the contractor. For instance, if a cleaner agrees on a $75/month fee, you may offer the service to your tenant for $85/month, increasing your annual revenue by $120. Overall, you may find that you can reach your business goals not only through acquiring a large number of properties but by operating a smaller number of properties more intelligently. This article‘s original edit appeared on BiggerPockets, the real estate investing social network. © 2014 BiggerPockets Inc.